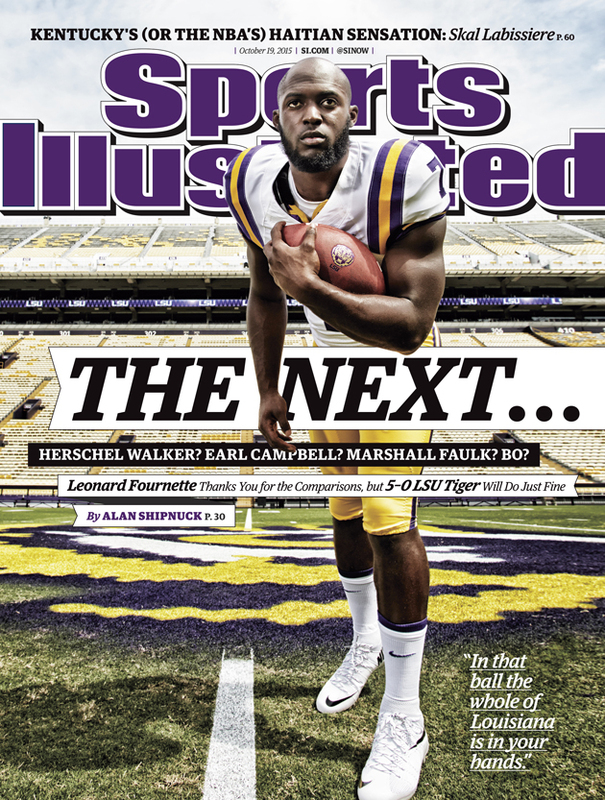 Running back Leonard Fournette and the 5–0 LSU Tigers are featured in a Sports Illustrated cover story by Alan Shipnuck. This week’s cover of Sports Illustrated features LSU sophomore running back Leonard Fournette, who has led his Tigers to a 5–0 record and a No. 6 national ranking. Alan Shipnuck profiles Fournette for SI, telling the story of how the running back's family survived Hurricane Katrina and how becoming a father opened Fournette’s eyes to life beyond football. On the field, Fournette has averaged more than 200 yards per game and has scored 12 of his team's 22 touchdowns this season. Herschel Walker, widely considered the best running back in college football history, has hailed Fournette as even more talented than he was. As a sophomore, Fournette now faces the intriguing option of sitting out his junior season to guard against an injury that could damage his NFL draft stock. Fournette and the Tigers will seek to protect their undefeated record when they face No. 8 Florida (6–0) on Saturday. This week’s issue also includes stories on Kansas City Chiefs linebacker Justin Houston and Kentucky’s Skal Labissiere—a freshman basketball star whose home was destroyed in the 2010 Haiti earthquake.